We have moved into our new center! We are currently holding several recovery meetings each week, Recovery Coaching services (at no charge to the recoverees), providing Peer and Family Recovery Coach training classes, providing educational events in the form of a Recovery Education Series, and additional services as the need and opportunity arise. We are working with Shoreline Behavioral Health Services, Medical University of SC, and Tidelands Waccamaw Community Hospital to provide recovery services and direction for persons who present to the Emergency Department with Substance Use problems. Of the three hospitals involved in the Emergency Department pilot program, the group at Waccamaw Community Hospital have consistently high engagement rates. We believe the fact that most of the current workers at Waccamaw are FAVOR trained Peer Recovery Coaches may be the critical factor in the strong response from the patients at that facility. We have assisted a groups in Andrews and Longs to begin All Recovery meetings there. The Andrews meeting is held at the Church of God on Morgan Ave., on Monday nights, from 7 to 8PM. The Longs meeting is held at Waterbrook Church, in the Bingo Plaza on Hwy.9, on Friday nights from 6:30 to 7:30. In addition, we have volunteer coaches who work with the women in the Women’s Recovery Center in Conway, the re-entry program at J. Rueben Long Detention Center, and residents of some of the Recovery Houses in the area. We hope to expand those services to include other hospital ERs, Drug Court, and several local agencies such as Vocational Rehabilitation and Helping Hands. The majority of our services are provided by trained volunteers, at no charge to the persons who receive them! It is only with your help and support that we can continue to provide these very successful programs and extend our efforts to help more people. We are proving that the paradigm of recovery must shift to succeed in the current deadly climate of substance use. Help us reach these goals and make big changes in the lives of substance users, their families, and our communities! If you would like to learn more about our services or volunteer, contact Nicole at 843-668-2948 or stop by the center. If you would like to make a donation, you can do so on our website Donations Page. We are a 501(c)(3) public charity, so all donations are tax deductible. 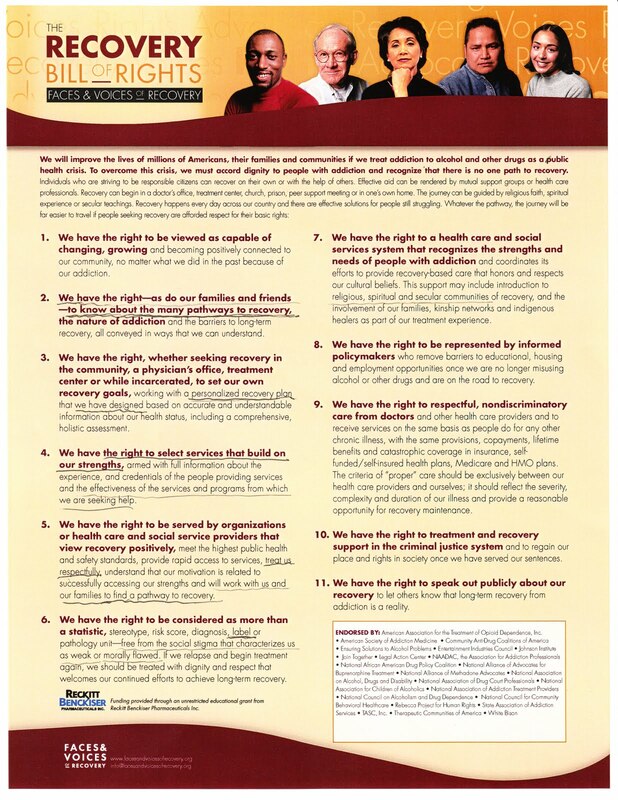 We envision a day when public and private policies have been implemented at the local, state and federal levels to help individuals and families get the help they need to recover, including access to effective care including treatment, peer and other recovery support services. Policies that discriminate against people in or seeking recovery will have been reversed and removed. Support addiction recovery by joining the movement! 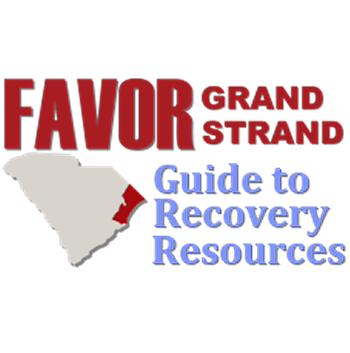 This guide provides useful local and national recovery resources intended primarily for people seeking or in long-term recovery from addiction to alcohol or other drugs, family members, friends, and loved ones. Empowered story tellers are building the new recovery movement in South Carolina.